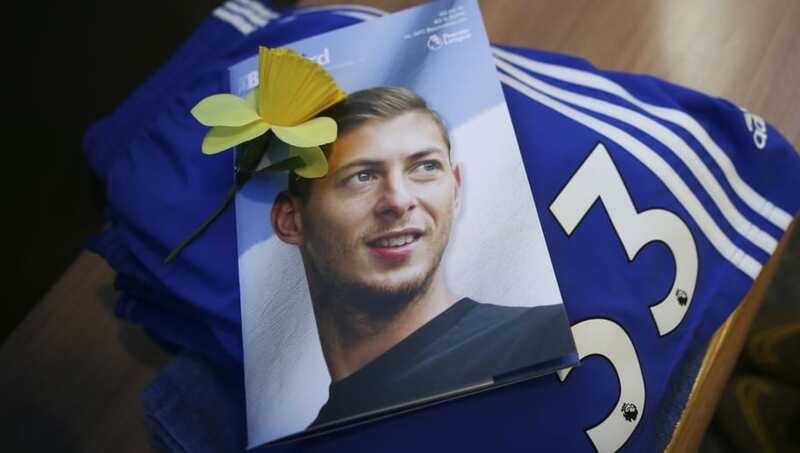 ​The untimely death of Argentine forward Emiliano Sala has been one of the most shocking stories of recent years and a terrible loss for the world of football. Nantes will retire the number nine shirt of their hero, while there are tributes planned across France and the UK at games this weekend. The circumstances around the plane crash which ultimately took his life are currently unknown, but what is certain is that Sala should be remembered as a determined underdog who worked incredibly hard to achieve all the success in his career. Born in Santa Fe, Sala grew up following Independiente and idolising Argentinian legend Gabriel Batistuta, who forged a reputation as one of Serie A's finest-ever forwards. Batistuta was known for his power and aerial prowess, and that is the mould in which Sala sculpted himself as a youngster. While still in Argentina, Sala featured in a local tournament in the province of Misiones, attracting the attention of scouts after netting an impressive five goals. He was invited to join development side Club Proyecto Crecer, who specialised in preparing South American youngsters for a successful career in Europe. ​Manchester United also had scouts at the competition, whilst clubs from both France and Italy also watched on with a keen eye. Sala scored once in his first two matches for his new side, and expressed his determination to succeed. He told ​El Santafesino: "I want to tell the guys to feel football as a sport, that with effort everything is achieved and that they must continue with enthusiasm and training". A move to Portuguese side FC Crato in 2009 looked to be the beginning of his senior career but, after netting twice in his debut, Sala suddenly left the club to return to Argentina, citing personal reasons with his girlfriend as his reason for leaving. His route into European football looked to be coming to an end, but Sala remained committed. Fortunately for Sala, Proyecto welcomed him back with open arms, and he eventually secured another move to Ligue 1 side Bordeaux, who worked closely with Proyecto to scout new talent. However, he regularly returned to Argentina, doubting whether he wanted to pursue a career so far away from home. He spent two years as part of Bordeaux's academy, but first-team opportunities proved to be hard to come by, despite Sala's impressive form. Many felt he was not cut out for a career in football, which had a detrimental effect on Sala's mindset. With his passion for the sport dwindling, Sala was offered to several teams in the lower tiers of Italian football. However, there were no takers for Sala's services, with clubs believing that he simply was not good enough to make it as a senior player. Determined to prove everyone wrong, Sala went on loan to French third-tier side US Orleans. With the fire now lit underneath him, Sala bagged 19 goals in 37 appearances, but it still was not enough to convince those at Bordeaux that he was destined for big things. A loan to Ligue 2's Chamois Niortais followed, and Sala netted another 18 goals to prove to his parent club that he could hold his own in senior football. It looked as if Sala had done enough, and Bordeaux welcomed him back to their setup, promising regular game time for the resilient forward. However, after just five starts in the first half of the 2014/15 season, Sala was forced out on loan once again, this time to SM Caen. After netting against Paris Saint-Germain in his third appearance, Sala had convinced himself that he was good enough, whether Bordeaux agreed or not. They did not, and Bordeaux accepted a bid of around €1m to take Sala to Nantes. In and out of the team, Sala was the subject of interest from both ​Wolverhampton Wanderers and Galatasaray, but the Argentine remained determined to make it with the club who showed faith in his abilities. Several prolific seasons followed, leading to a proposed £15m to the ​Premier League with ​Cardiff City. Although the underdog story was already complete, Sala deserved the chance to continue his dream and bring his talent to the Premier League. His hard work as a model professional should not be forgotten.